The National Football League will always be a place where a team’s success is more important than that of any one individual. Yet, that doesn’t mean individuals cannot find themselves reaping the rewards courtesy of their own personal popularity. But how can we possibly measure such a thing? Easy. Look at the merchandise sales. For those who might not remember, this is a list “based on overall sales of all licensed products from online and traditional retail outlets as reported by more than 80 NFLPA licensees such as Fanatics, Nike, VF Imagewear, Outerstuff, Fathead, McFarlane Toys, Oyo Sportstoys, Bleacher Creatures, FBF Originals, Forever Collectibles, FanPrint, Aminco, Photo File and New Era.” By using these figures, we can make a pretty good guess at which players constitute the most popular in the NFL. And since we know you’re all about remaining informed, we won’t make you wait any longer. Therefore, based on the Q2 numbers — which represent the total sales from March 1 through August 31, 2015 — here’s a look at the seven players with the best-selling merchandise in the NFL. 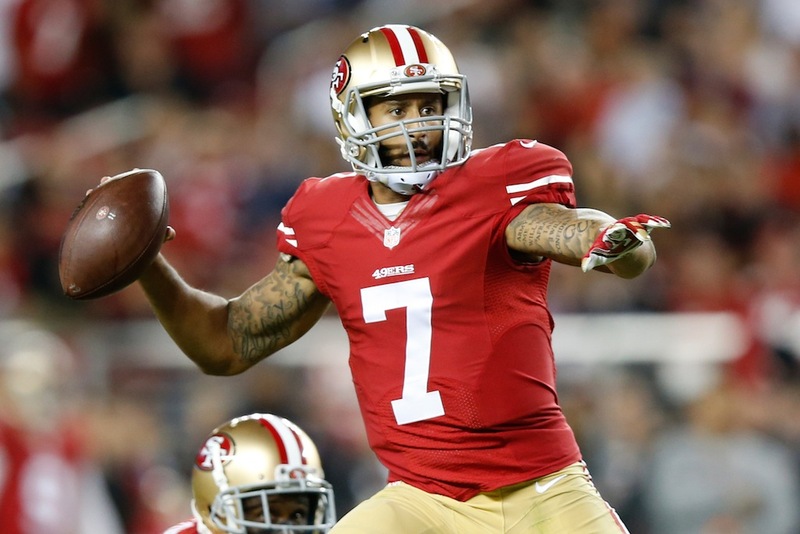 On the field, Colin Kaepernick has failed to look the part of a franchise quarterback. Off the field, however, the San Francisco 49ers young QB has continued to remain popular among NFL fans. According to the NFLPA’s figures, through Q2 of the current fiscal year, Kaepernick holds the No. 7 spot in overall player merchandise sales. Not bad for a guy who may find himself wearing different colors in 2016. 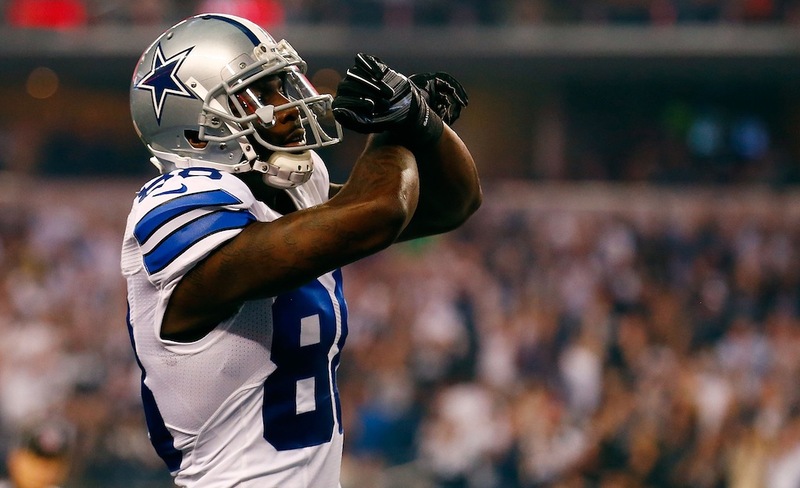 On account of a broken bone in his foot, Dez Bryant has only played in one game in 2015. And yet, even with that sort of disappointment, the injury has done nothing to hinder his ability to sell merchandise. Not only is the Dallas Cowboys wide receiver No. 6 overall on the Top 50 Player Sales List, but he also leads all NFL players in sales of Bobbleheads and FBF Originals socks. Just think how much gear he’ll sell once he gets back onto the gridiron. 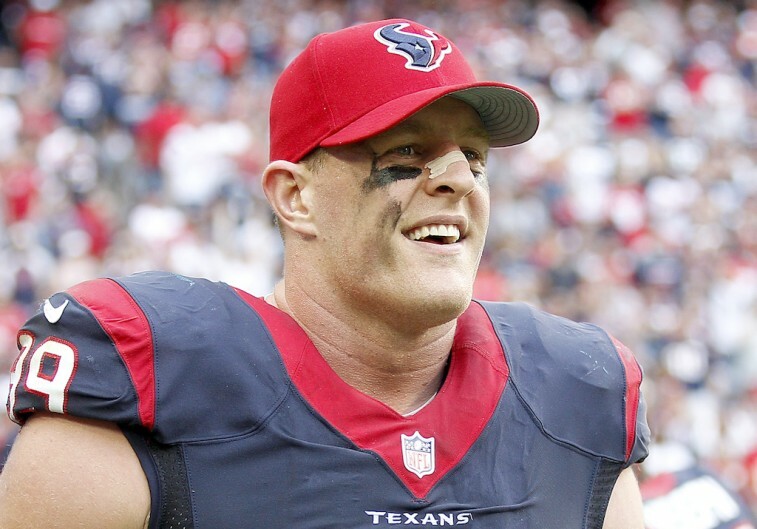 The fear that J.J. Watt strikes in the hearts of opposing players is only matched by the adoration he receives from NFL fans. How do we know this? We looked to the numbers. According to the NFLPA, the Houston Texans defensive end leads the sales of Bleacher Creature plush dolls, is the fourth most popular among kids in hardlines and apparel, and has the fourth best sales in women’s apparel. Whether he’s wreaking havoc on the field or outselling every other defensive player in the league, it’s clear that no one has the power to stop J.J. Watt. Despite leading the Denver Broncos to a 6-0 start, quarterback Peyton Manning is still struggling in new coach Gary Kubiak’s offense. And yet, interestingly enough, the only thing that hasn’t suffered is his popularity among the NFL faithful. Through Q2, the future Hall of Famer is the leader in all sales in name and number-branded T-shirts, is the second most popular among kids in hardlines and apparel, and has the second best overall sales of women’s apparel. 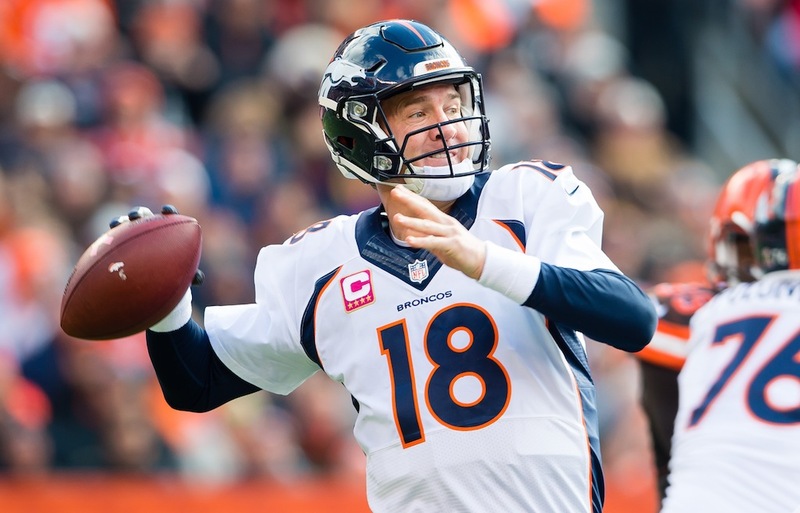 His time in the National Football League may be nearing an end, but even when that sad day arrives, we have a feeling the love for the elder Manning will continue to live on. 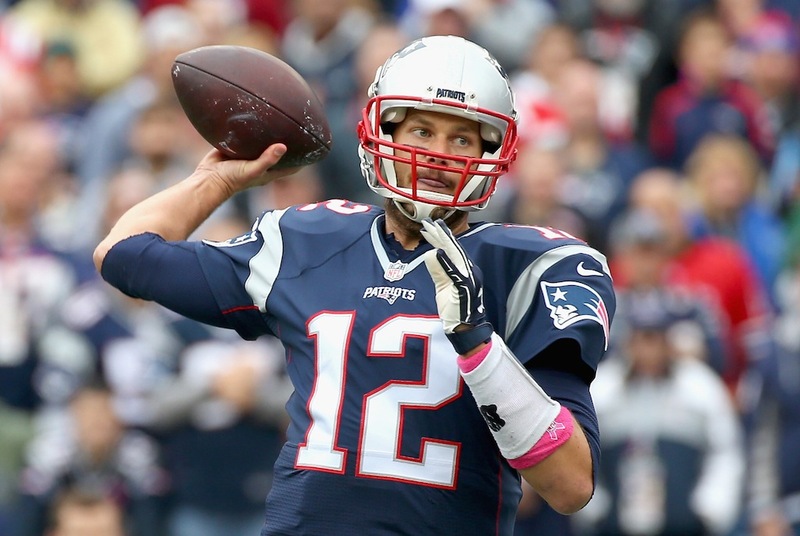 With the way he’s played so far in 2015, the only thing Tom Brady has not completely dominated is merchandise sales. Still, the Patriots quarterback is ahead of the rest in the sales Fatheads, Oyo Sportstoys, and Funkos, and he’s the fifth most popular among kids in hardlines and apparel. 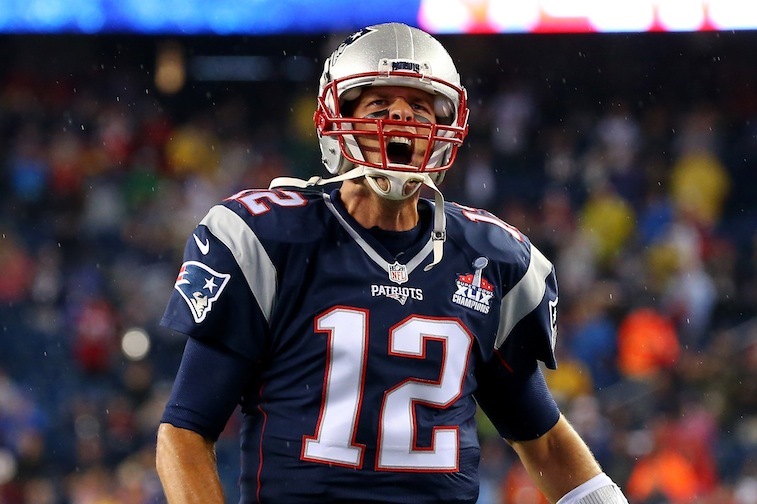 Of course, while it’s always nice to be loved by the fans, we have a feeling Brady would much rather be feared by his opponents. The Seattle Seahawks don’t seem to have the same hold over the NFC as they used to. 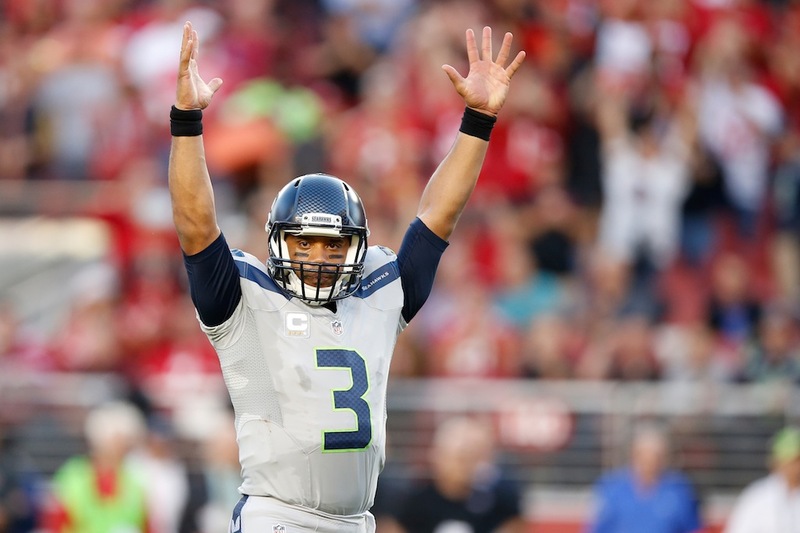 However, when it comes to player merchandise sales, the same cannot be said about Russell Wilson. Through Q2, the young quarterback is the top seller in both men’s and women’s Nike jerseys, is the biggest seller in collegiate co-branded products (specifically Oyo Sportstoys), is tops among kids in hardlines and apparel, and is owning the women’s apparel market. 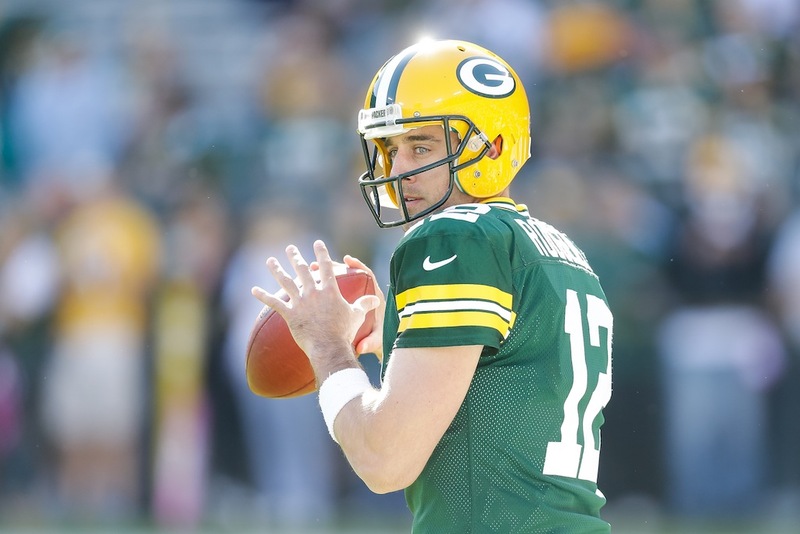 We have no idea how the rest of 2015 will play out for the two-time defending NFC champions. For all anyone knows, we’re looking at the end of an era. Yet, if Wilson keeps doing what he’s doing, we won’t be surprised to see No. 3 remain No. 1 among football’s biggest fans. All information is courtesy of the NFL Players Association, NFL Players Inc, and Pro-Football-Reference.com. To see the complete “NFLPA Top 50 Player Sales List,” click here.